Guest Post written by Kim, an expert on Produce Co-Ops! Fresh fruit and vegetables – there is nothing tastier and nothing healthier for you and your family. However, a lot of us bargain shoppers tend to shy away from this section of the grocery store because of the high price tag. Many of the good deals and coupons are for items down the isles, but for a healthy diet we’re told to stick to the edges of the store, i.e. the most expensive items. So how do you balance frugality and wellness? One way to find better prices on produce in the grocery store is to buy produce that was grown locally and in season. For example, don’t buy peaches in January – buy them now while they are at the peak of their growing season in the Southeast (notice they have been under $1 per pound at most store for the last few weeks). You can stock up on items like these and freeze them for use in stir-fry and casserole dishes, smoothies, baking, and many other recipes. However, even this can add up on your grocery bill. And to be frank, most produce sits on the shelf for a lot long than you’d think. That is why they have such a short shelf life once you get them home. The stores just wax them or put other chemicals on them to make them look shiny and ripe so that you will still want to buy them. Not exactly helping you to eat more healthfully. 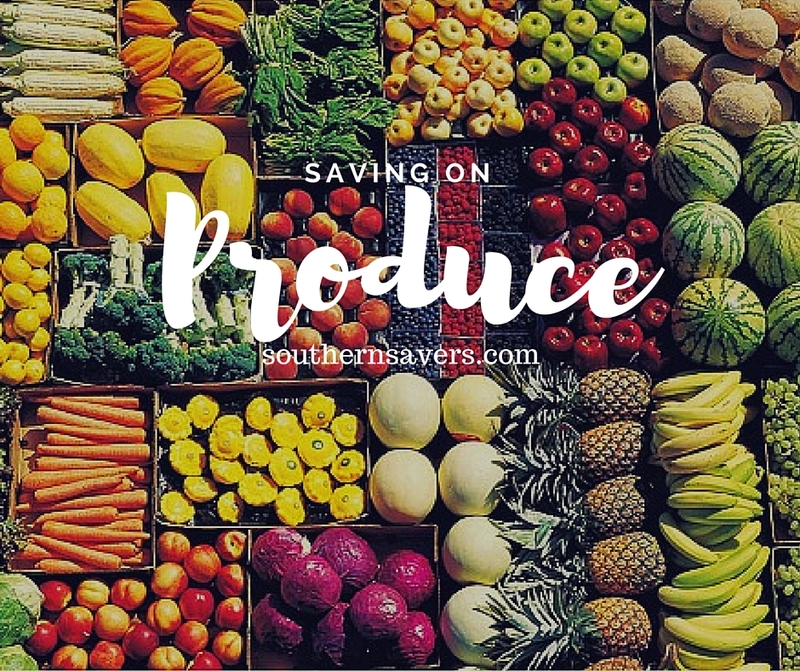 Jenny mentioned in her last post about produce that a way to avoid paying the grocery store mark up (and avoid yucky chemicals and under/over ripe produce) is to hit your local farmers market. But maybe you’re like me, and you don’t have room in your kitchen, pantry, or freezer for 100 ears of corn or 25 pounds of peaches. Or maybe frozen fruit and veggies aren’t your thing. You would rather have them fresh and at the peak of their ripeness. For the last year or so, I have been a part of a local co-op of Christian families. We use the farmers market principle, but still get only the amount of produce we need for our individual families. Everyone in the co-op has a job falling into one of four basic steps of the process. Ordering/Paperwork – These gracious ladies crunch the numbers to find out how much of each item we need to purchase based on each member’s request, keep track of money, and keep us updated with newsletters. Buyers & buyer’s helpers – Some of our husbands get involved in this process as it often requires some heavy lifting (remember those 50 pound boxes of tomatoes?). The buyers rise early and haggle with local farmers and wholesalers for the best deal. Baggers – This is the most time consuming part of the process, but can also be the most fun because you get to fellowship while you work. Six to ten workers are needed to go through an assembly line type process to fill and bag each order. Drop off – The co-op is divided into regional groups. One person in each group is designated as the drop off point where other members can come and pick up their groceries and drop off their paper work for the next time around. Our co-op works on a three week schedule. You may be thinking, “How will my groceries last for three whole weeks?” Remember that this produce hasn’t been sitting on the stock shelf in the back of the grocery store for two weeks already! You are getting it very close to the time that it was actually picked. Not everything will last for three whole weeks, but a good number of items will, for example lettuce (yes, lettuce! ), apples, oranges, onions, potatoes, carrots, tomatoes, and broccoli. Also, there are many co-ops that operate more frequently, and some less – each one is unique depending on the number of members and their individual needs. So what do the prices actually look like? Well remember that there will be some fluctuation here depending on where you live, what is in season, and how many people are dividing the cost. But you will typically pay about 30-50% less than the best prices in the grocery store. I typically spend anywhere from $20-30 for 3 weeks worth of produce. Occasionally, I spend a little more to stock up on freezable items. Our co-op has three seasons: fall/winter, spring, and summer. We also have a list of items that we order year round from a wholesaler if we can’t get them from local farmers. Here is a list of items that I commonly order and their approximate prices. These are from our summer list. zucchini and yellow squash $.30-.50 lb. red skin potatoes $.35 lb. One thing that helps to make sure that you use all of your produce is to plan how you’re going to use it. I often plan my menu weekly, trying to use up items that will not last as long as others. Pull out some of those recipes you thought you’d never make because they called for too much fresh produce that you couldn’t afford. Also, make sure you don’t order more than you need because you might end up having to throw some away. One last tip: if you see you have some fruit or veggies that aren’t going to last too much longer and you know you won’t use them soon, cut them up and freeze them for later use. Make your own chopped onion and pepper mix or a bag of stir-fry veggies, freeze berries for smoothies, or bananas for baking. Look for a co-op in your area or get some frugal friends together and start your own! If you plan to start your own, I suggest gathering a group of like minded friends as this will make it easier to work together. Also, bear in mind that your numbers are never going to work out perfectly. You will never be able to buy that 50 lb. bag of potatoes and distribute it evenly based on your orders. So you need to decide ahead of time how you will deal with extras and shortages (our group has a policy that you need to help buy up extras to keep the co-op from running a loss, which usually never adds more than a few dollars to my total). I have also heard of local farmers getting a list of clients who pay a fee for the season (12 weeks usually) and then deliver a selection of their crops weekly. Buying locally is also a great way to support and stimulate local businesses in difficult economic times in addition to balancing your personal budget. If you have any comments or questions, I’d be glad to try to answer them! The old standby of “googling” your area works too.